My #100Book Reading Challenge is in the Books! My goal to read 100 books in 2013 is in the books (pun intended)! I entered this month needing to read four more books to accomplish my goal. I’ve read six books so far this month, making my goal with a few to spare and far ahead of my deadline. It’s difficult to believe, but I read 100 books this year! I read non-fiction books most. I think this is because I love true crime, and I discovered Ann Rule during the challenge. Audiobooks helped me reach my goal and are another reason for the larger non-fiction list. I like listening to non-fiction best. My husband doesn’t think audiobooks count, but that’s another post. I read fiction books more quickly than non-fiction. I get so entranced by the storyline that I can’t put them down. Unfortunately, since I do most of this type of reading before I go to sleep, this means a lot of late nights fighting to stay awake so I can read what happens next. Some books took longer to read, but not because of length. Books that I read for class (Blog, Inc., for example) or research (Secondary Traumatic Stress, for example) took longer to finish. I’m sure this is because I spent more time highlighting, reading and rereading. I also probably only read these during times when I was able to focus completely (aka: when it was quiet). I still don’t believe in finishing bad books, but I kept reading several books that I probably wouldn’t have without the challenge (Big Brother, for example). I felt too invested in the books by the time I realized I hated them, and I didn’t want to waste the time I’d already spent toward my goal. This, honestly, was the one negative aspect of the reading challenge. I still love to read and believe in the importance of daily reading. I’m absolutely going to continue being intentional about make time for all types of reading. One thing I see as negative that’s a result of the reading challenge in that I don’t spend as much time reading blogs as I used to. Books provide deeper, richer information, but I enjoy reading blogs too. I’m not exactly sure how to find the balance when there are only so many hours in the day. Regardless of reaching my goal, I have decided to continue reading at my current pace until Jan. 1. I’m curious to see how many book I realistically can read in a year. I hope this will help me set a slightly more challenging goal for next calendar year. Am I crazy for wanting to do this again? I’m curious about your view of the reading challenge. Ultimately, I know it’s my decision about whether to create a challenge for next year, but I’d like your opinions. Should I create another reading challenge for 2014? If so, what should be my goal? Congratulations on reaching your goal … and then some! 100 books is a very laudable achievement. I pledged to read 26 books this year. I finished early and decided to not count audio books in the total. I’m now on my 26th book read in the traditional manner, so I’ll be able to finish my goal, possibly with another to spare. Thanks again for introducing me to this challenge. TammyL I need to give this audiobook situation some thought. I listen to them during my commute and while I’m getting ready for work. Basically, I’m listening to audiobooks instead of listening to the TV. I’m not sure I could remember how many of my 100 books were audiobooks, but I average a couple a month, so I would say at least 25. Perhaps I should take that into account when I’m setting next year’s goal. Thanks for reading and commenting. I appreciate you. I think it’s great that you read so many books. Did you feel you learned something from all of them or did you feel rushed through them? I don’t count audiobooks as books. I’m with your hubby on that one. Maybe you can have a goal to read x amount of books for certain genres? Can’t wait to know what you decided. 115? You could focus on a genre to make it more challenging or leave out academic books (read more of your “trash” novels that you love). I’m still trying to decide my challenge for 2014. The 75-book challenge left me in slacker mode. I need more pressure than that. audaciouslady I think I learned something from all of the non-fiction. You’re the second person to recommend a certain number of books in a genre. That’s an interesting idea. Thank you for reading and commenting. I appreciate your support! Perhaps discount audio books? Or set a limit on how many can count toward your total? profkrg I’m thinking of giving myself that type of goal as well. I’m going to think of some genres I haven’t read in awhile. 🙂 When will you be deciding? profkrg I’m impressed and inspired. 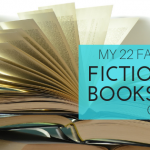 So, what are your top picks in non-fiction and fiction? It may determine my next Kindle read. PeggyBinette I’m actually making list posts on that. A ton of reviews on my site. Non-fiction -Platform. Fiction- The Rosie Project. profkrg will be browsing your reviews over the U’s holiday break. PeggyBinette I also loved The Attachments. LauriRottmayer I think sometimes you just feel invested in a book and you hope it will get better. You just keep thinking it’ll turn around any minute. I think 85 books is awesome! 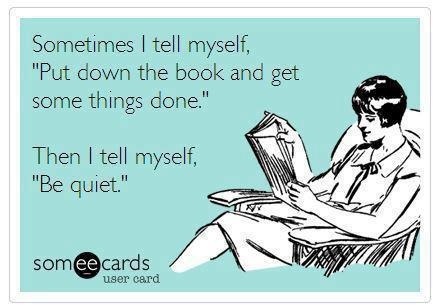 That’s probably about what I did without the audiobooks. Maybe that should be my challenge for next year—100 books without audiobooks. Thanks, Lauri, for taking the time to read and comment. I appreciate you. audaciouslady I guess I’ll need to decide before Jan. 1. I just hate to limit myself on what I can/can’t read.